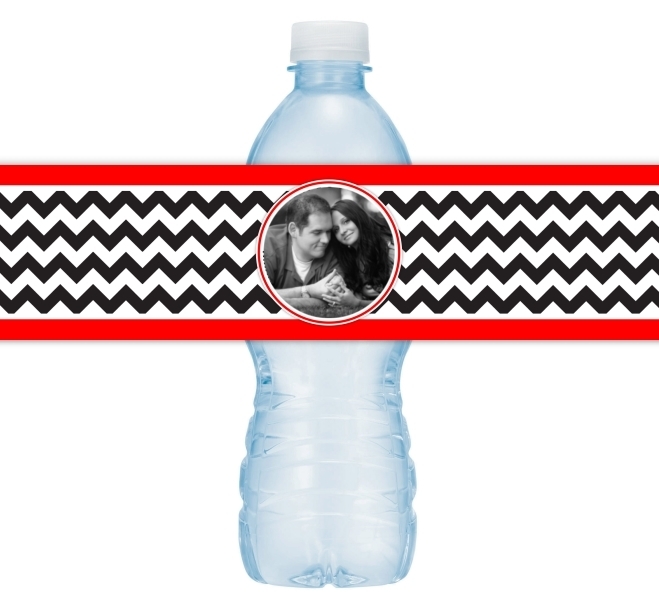 Our water bottle labels measure 8 1/2" long (this is the part that wraps around your bottles) and 2" inches high. They are self-stick; simply peel the back off of each label and affix to bottle. They fit 16.9 oz. water bottles. These are sold in sets of 15 labels. Quantity 1 = 15 labels, Quantity 2 = 30 labels, etc. Please allow 3 business days to fulfill orders; then add ship time. Shipping is a flat rate of $3.00.